A student reports a dead body on the Aftermath Café patio near the windows. The victim is a Ruby-throated Hummingbird and the indirect cause of death is the potted, red geranium just inside the window. This brightly decorative plant was placed to enhance the atmosphere for students sipping lattes during much needed breaks between their studies. Unfortunately, this well-intentioned decoration presented unintended consequences. The hummingbird was attracted to the geranium’s bright blooms in hopes of a nectar meal but it encountered a window en route to the flowers. This bleeding lead has a solution. In this specific case, it’s simple: Move the flowers away from the windows. But bird-window collisions go beyond a single geranium. And finding the bigger solutions takes action at the window-scale, yard-scale, town-scale and beyond to make the world a safer place for migratory birds. This case illustrates a common problem, that of windows causing as many as one billion bird deaths annually in the United States. Glass can reflect trees and plants that make windows appear as forests or habitat to flying birds, but there are many solutions for problem windows. Not all solutions are as attractive as people would like. There is a need for more aesthetically pleasing designs that can be applied to windows. At Michigan Tech University, science and art students are working together to identify problem windows and then design attractive yet practical window applications as prototypes. This conservation-art collaboration is challenging students to reduce bird-window collisions and also communicate across the science-art divide. Read more at the Huffington Post, by Amber Roth. Superior Ideas: Stop Bird-window Collisions! Bird migration is one of the great wonders of the world. Sadly hundreds of millions of birds are killed by collisions with buildings, primarily windows, in the United States every year. 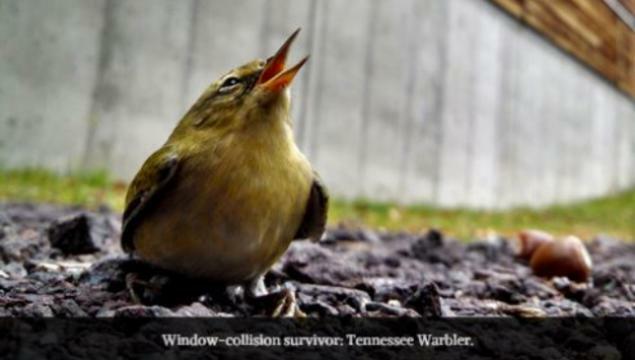 Help fund this project to identify problematic buildings on the Michigan Tech University campus and to help develop design artistic and aesthetic design solutions that will reduce bird-window collisions. Learn more at Superior Ideas. Visual and Performing Arts 2-D and 3-D design students are exhibiting their collaborations with researchers in the School of Forest Resources and Environmental Science to address bird-window collisions on the Michigan Tech campus. Students in Lisa Johnson’s (VPA) design classes are developing works of art and design that raise awareness, minimize bird-window collisions, and provide safe spaces for birds. Over time, Amber Roth (SFRES) and Johnson hope to develop new and innovative solutions that can be tested and prototyped on campus. “Keep Em Flying” includes posters, paintings, sculptures and window treatments are on exhibit through Sunday in The Noblet Forestry Building, The Library Skywalk and The Rosza Center for the Performing Arts. From Tech Today, by Lisa Johnson. Michigan Tech students taking classes in Visual and Performing Arts displayed their works in the Rozsa Gallery April 13-24, 2015, for the Student Art and Design Show. Keweenawesomefest is an annual two-day music festival hosted by WMTU 91.9 FM. The event takes place in the McArdle Theatre on the second floor of the Walker Arts and Humanities Center on the Michigan Tech campus. Beginning at 7 p.m. tomorrow, the evening will feature five local DJs in a night of electronic music. On Saturday, a variety of bands will perform including: Flitch, Ladders, The Lately, Valentiger and headliner Flint Eastwood. Doors open at 6 p.m., and the concert should finish up around midnight. Members of WMTU staff and Michigan Tech’s Visual and Performing Arts majors are in charge of creating an amazing experience with projections, fancy lighting, awesome sound and the live video and audio stream of the event on WMTU’s website. 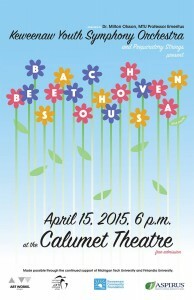 Tickets are $3 for one night or $5 for both nights. Tickets will be available at the door or for advance purchase from 11 a.m. to 3 p.m. today in the MUB Commons by the food court. Questions can be directed to WMTU’s head of marketing at wmtu-pr@mtu.edu. From Tech Today, by WMTU-FM. Assistant Professor Lisa Johnson (VPA) will have an art show titled “Macho-maynitch … (more or less)” in the Copper Country Community Arts Center (CCCA) through the end of April. The opening reception will be Thursday, April 9, 2015, from 6 to 8 p.m. in the Kerredge Gallery at the Copper Country Community Arts Center. 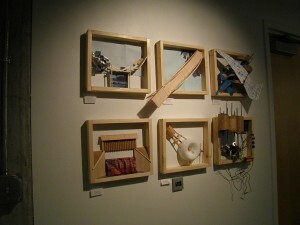 Lisa Johnson is a sculptor and collaborative artist living in Hancock. She states, “My practice explores our relationships to landscape and to one another. 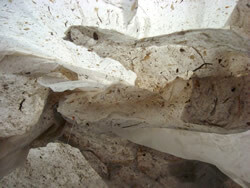 I am particularly interested in the hidden narratives that make up our sense of personal and ecological place. My work often asks: What is the space between us? And: What does it take to cross it.” In her work she combines quilting techniques with fragile papers that she makes from plant species to create ethereal installations. Lisa Johnson is the Director of the Artist in Residence program at Iowa Lakeside Laboratory, a biological field station in Northwest Iowa, where she links artists, scientists, and community members to address the varied ecological concerns of the region. She received her MFA from The University of Iowa in 2012 and is an Assistant Professor of Visual and Performing Arts at Michigan Tech. The CCCA is located at 126 Quincy St., Hancock. Lisa Johnson is a sculptor and collaborative artist living in Hancock. In her work she combines quilting techniques with fragile papers that she makes from plant species to create ethereal installations. Read more at Keweenaw Today. KYSO and Preparatory Strings present Bach, Beethoven, Sousa and more in a Spring Symphony Concert, directed by Dr. Milton Olsson, Michigan Tech Professor Emeritus. For over 40 years, the Copper Country Suzuki Association (CCSA) has been teaching students in the Keweenaw Peninsula music. The mission of the CCSA is to enrich the lives of people with high quality, affordable music instruction for young artists of all backgrounds. 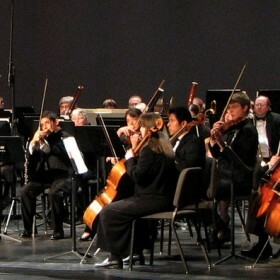 In the fall of 2002, the CCSA established the Keweenaw Youth Symphony Orchestra (KYSO). It is comprised of the more advanced string students and students from the local public school band programs and has grown to include more than 30 young artists. The event is made possible through the continued support of Michigan Tech and Finlandia University. The Keweenaw Symphony Orchestra concludes its 44th season with a performance comprised entirely of concert suites: short multi-movement orchestral works that tells a story. The Golden Cockerel is based on a Russian fairy tale; L’Arlésienne is the incidental music to Daudet’s “The Girl from Arles;” Water Music is music written for King George I. 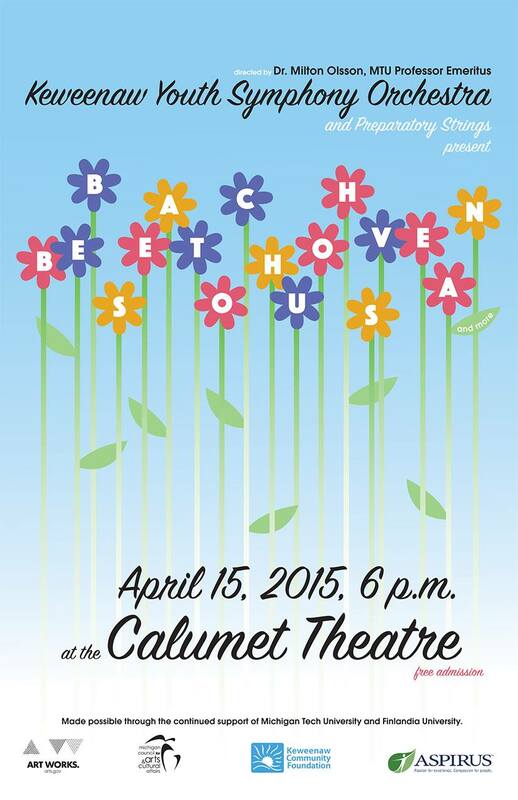 The KSO performs this repertoire during its inaugural concert tour of Chicago in April 2015. More information is available online. 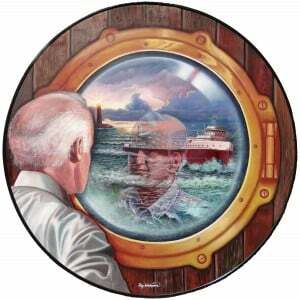 This year’s recipient of the Great Lakes Showcase Community Choice Award goes to Ray Lahikainen for his painting “Destiny.” Ray Lahikainen has won the Community Choice Award for at least the last five years. Visit the Great Lakes Showcase for more Awards 2015.